The Phamtom Pig have returned - After hosting a few pop-ups around the capital they're going to be at Palm2 in Clapton on Friday 23rd May for a four course menu including spring lamb, and lots of chocolate for dessert. Plus it's BYOB! "Spring is here and ‘The Phantom Pig’ are back! Returning to the heart of Hackney, in East London, this time taking over the relatively new and exciting space of ‘Palm2’ for one night only! 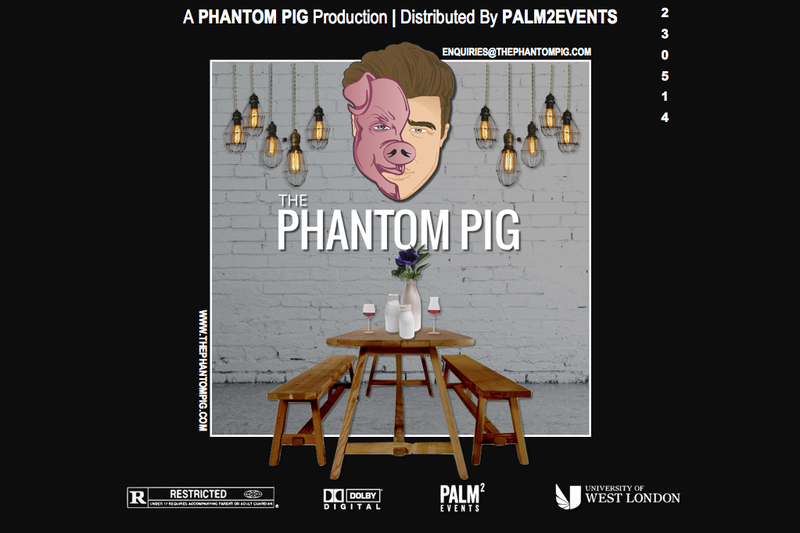 ‘The Phantom Pig’ has been going from strength to strength, selling out all previous pop-ups and most recently taking part in a new Channel 4 cooking show that is to be aired early this summer. Head chef Vix Rathour and his talented team will indulge you in an exciting spring menu using locally sourced British produce and combining a mix of unusual and traditional flavours. The set four-course dinner costs only £35 and includes, beside the four exceptional courses, chicken salt popcorn and homemade bread with cultured butter. So if you feel like trying out some exciting and innovative food presented in a fun and quirky way while meeting like-minded people, this might just be the ticket for you!